Jail Ordered to Give Inmate Methadone for Opioid Addiction in Far-Reaching Ruling | The Danya Institute Inc.
BOSTON — In a ruling that could have tremendous consequences for the country’s correctional system, a federal judge said this week that a Massachusetts man facing a jail sentence could not be denied access to treatment for his opioid addiction. Judge Denise J. Casper of the United States District Court in Massachusetts issued a preliminary injunction on Monday, saying that Geoffrey Pesce was likely to prevail in his argument that such a refusal violated the Americans with Disabilities Act and was cruel and unusual punishment. “One thing this ruling says is that, one way or another, either by legislation or by legal mandate, jails and prisons are going to have to do this,” Michael Botticelli, the executive director of the Grayken Center for Addiction at Boston Medical Center, said of Judge Casper’s order. Some experts have estimated that up to a quarter of those incarcerated have opioid-use disorder. 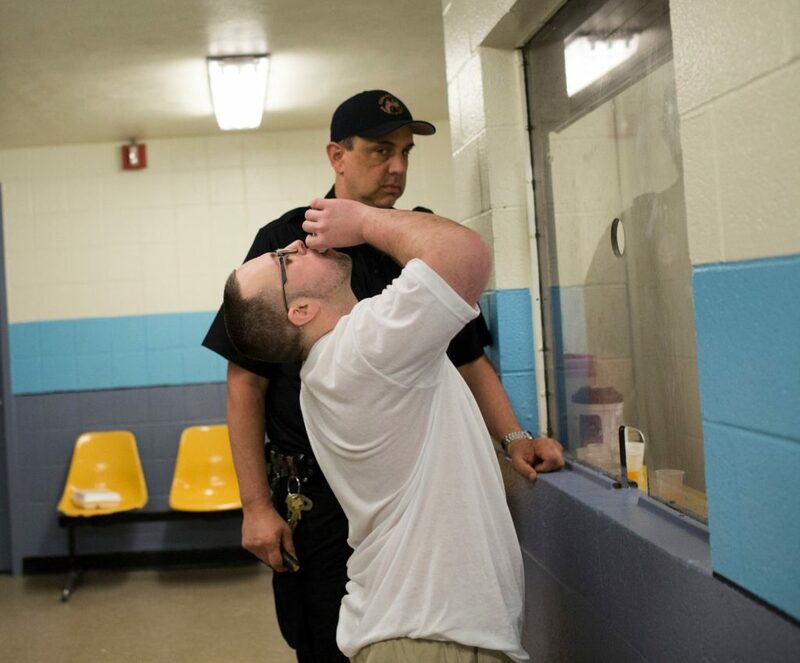 But most jails and prisons around the country do not give inmates access to methadone or buprenorphine, two medications that many experts consider to be the gold standards for treatment of opioid-use disorder. Advocates of offering these medications to inmates said this was the first time a federal judge had ruled in this way. They hoped it would send a message to other correctional institutions that they were on shaky legal ground in denying access to these medications. Methadone and buprenorphine are opioids themselves, acting on the same receptors in the brain that drugs like oxycodone and heroin do, but they do not produce a high if taken as prescribed. While methadone can be dispensed only at licensed clinics, buprenorphine can be prescribed by doctors and taken at home. Some people take these medications for years, and terminating them abruptly leads to withdrawal. Amid debates about offering methadone and buprenorphine to inmates, Mr. Pesce, 32, presented a particularly strong case even to skeptics. He battled opioid addiction for years, losing his job and custody of his son in the process. He overdosed at least six times and was revived with Narcan on several occasions. He tried detoxification programs, as well as buprenorphine and another drug, naltrexone, which blocks the brain’s opioid receptors, all without success. Finally, in late 2016, he was prescribed methadone, which proved to be life-changing. Since then, he has not had a positive drug test, and he is working as a machinist. However, because his driver’s license was revoked or suspended because of a prior conviction for driving under the influence of drugs, Mr. Pesce depended on his parents to drive him to the clinic. One day in July, his mother was unexpectedly unavailable, so he decided to drive himself, and was pulled over for driving six miles per hour above the speed limit. If sentenced, he will likely be incarcerated in the Essex County House of Correction in Middleton, Mass. That jail does not offer access to methadone and buprenorphine, instead requiring inmates to go through forced withdrawal. Mr. Pesce’s physician told the court that denying him access to methadone was inhumane and put him at high risk of overdose and death upon his release. The defendants, the Essex County sheriff and the jail’s superintendent, can appeal the ruling. In a lengthy statement, the sheriff, Kevin F. Coppinger, said that he was carefully considering the decision and that the issue was complicated. Although rare, there are jails and prisons around the country that offer methadone and buprenorphine. The state of Rhode Island has offered both medications to inmates since 2016. It also screens inmates for opioid-use disorder and will start them on medication, when appropriate, if they are not already on it. Rikers Island, the jail complex in New York City, has offered inmates medication-assisted treatment for opioid addiction since the 1980s; it offers both methadone and buprenorphine. It is standard practice across the country to treat pregnant women who are incarcerated and have opioid-use disorder with methadone, and to take them off after they give birth. At least one facility in Massachusetts offers methadone to pregnant women. Advocates have said that denying inmates access to these medications is akin to denying insulin to diabetics. And, they have said, it can have similarly deadly results. Detoxification leaves inmates with substantially reduced opioid tolerance, leaving them at high risk for overdose when they are released.